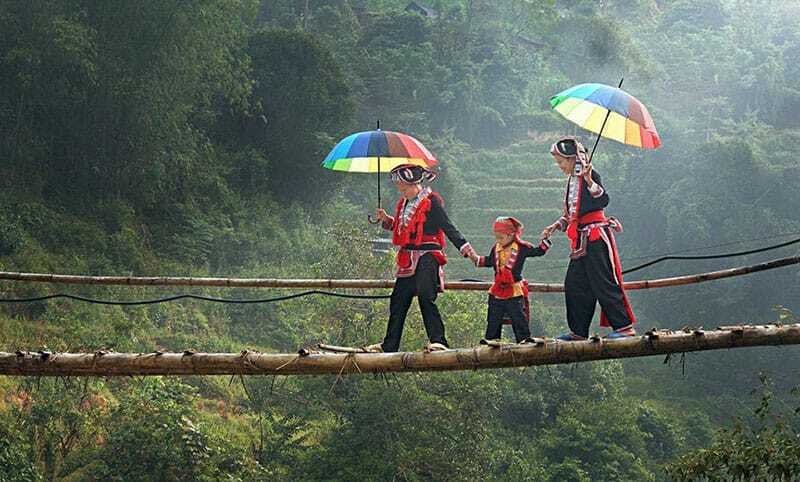 Sapa is well-known for its terraced rice fields, perhaps one of the most beautiful of our country and even of Asia, Sapa is best for a trekking trip, you can walk on the road between the rice fields and the wonderful hill tribes in the valley. On the trekking journey, you will cross many different ethnic minority villages, where you have the feeling that you are going back in time. 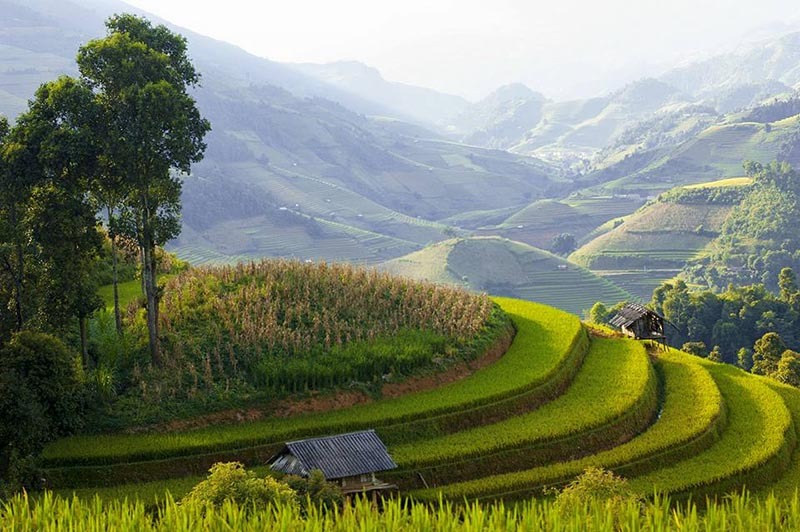 If you are on your first trip to Sapa and want to go trekking on your own, discovering nature as well as life of local people, exploring the majestic beauty of the terraced fields, mountains or waterfalls, our suggestion below might help you get ready for the journey. You can experience the feeling of freedom in nature. 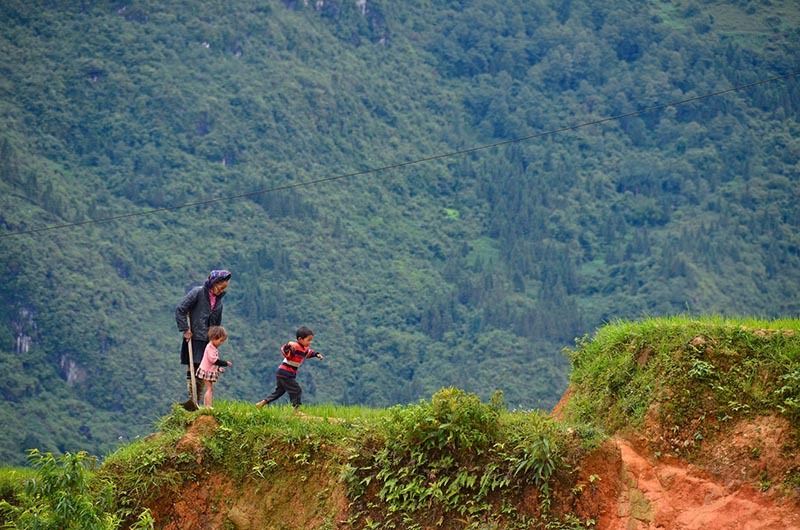 Knowledge: Trekking is a kind of experience and explore the cultural space of the ethnic minorities that live in Sapa mountainous, so for a fun and impressive trekking on your own then you should find out the information about the villages, customs, habits, things should do and should not do when visiting the villages. 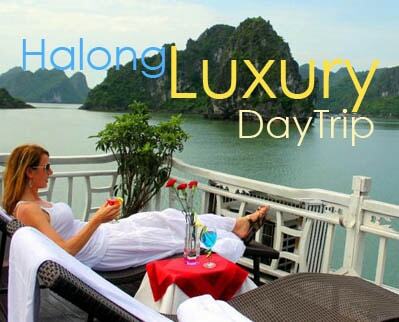 Itinerary: You also have to study the trekking map and the terrain of the destination area to have suitable plan and itinerary for the trip, calculate the reasonable distance for your health and prevent the danger situations. Preview weather forecasts and prepare a referral form if the trekking area is a border area or protected area managed by authorities. Walking shoes: You should prepare a pair of walking shoes or sports shoes, this is a very necessary tool and it decided your trip is convenient or not (absolutely not use: high heels, new shoes for this walking trip because it will be very uncomfortable.) The material of the shoes is also airy, cool, waterproof and fast drying. Backpack: You will have to carry your luggage by yourself during your trekking journey so you should choose one suitable for yourself with waist belt to tighten on the back, shoulder strap must have a mattress to help you feel comfortable for the whole journey. Medications: Antipyretics, diarrhea drug, antibiotics, cotton, gauze, antiseptics, vitamins, supplements and snicker candies (a very high energy candy) are indispensable. Vaselin for anti-cracking lips and skin is also necessary. If you meet children, do not rub or kiss the baby’s head because the ethnic people think that this action will make children panic and easily sick. When visiting the villages, if you find a clean, cool place, do not stop and eat there because it is probably the place where the whole village worshiping, this is sacred place for them. You do not whistle when visiting because they think the whistling sound is the devil’s call. Houses of ethnic people are often divided into different rooms, in which the mid space is always the place of worship and guests are not allowed to sit there. It is believed that the largest pillar in the house is the soul pillars where the ghosts stay so visitors do not hang clothes or sit back on that. If being invited to drink water or drink alcohol by local people, you should so skillfully refuse if you do not want to use it and ask the host to understand. It is prohibited to put upside down the bowl because only the worshipers are doing so to evict evil. Besides, when talking to the landlord you are not talking and pointing your finger forward because H’Mong people think that the behavior is to express the attitude of not content or despise. Do not wear white linen yet dyed because the local people think it is the color of the funeral. If you are not sure where to start your own trekking trip, see some of our recommendation below and start making it your own itinerary and prepare for your trekking.